Linux Identity Starter with the latest stable Ubuntu 14.04 Trusty Tahr LTS comes with some essential updates. They are subtle and favour what canonical does best: smoothing out the user experience in small but noticeable ways. The biggest improvement is stability. Professionals and home users alike value a stable and consistent operating environment, and 14.04 promises that for the next five years. You read that right: five years of updates and patches on your desktop where in previous years it was only three years for desktop and five for servers. New release: Linux Identity Office - Linux Starter Kit with Ubuntu 13.10 - on sale! This issue of Linux Identity magazine will introduce you to Ubuntu 13.10 Saucy Salamander and what awesome things you can do in your Ubuntu 13.10 system. This release of Ubuntu 13.10, although being so ground-breaking, introduces new subtle changes which implies that Ubuntu has come to the point where stability and usability matters to them the most than adding new features every release. Linux Identity Office arrives with a double-sided DVD with full installers of Ubuntu 13.10 Saucy Salamander for 32 and 64-bit platforms. New release: Linux Identity Pack - 5 Best Linux Distributions - on sale! In the newest The Best of Linux edition we present 5 best Linux distributions in its fresh version: Fedora 20, Linux Mint 16, Mageia 3, openSUSE 13.1 and Ubuntu 13.10. You can explore how Linux Mint simplifies and extends the desktop to address easily yet efficiently the Ubuntu base, how Mageia, throughout its ever increasing community, answers to the users needs. If you are prone to testing latest technologies, or explore more deeply the system, you will find a good answer with Fedora or openSUSE. Traditionally, the multibootable live DVD with the installers of mentioned distributions is attached to the issue, so you can test all of them before deciding which one will be installed on the hard disk space. 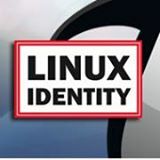 Find Linux Identity on Facebook! You can find us on Facebook now. If you have a Facebook account, please visit our page and like us today! New release: Linux Identity Starter - Ubuntu Family 13.10 Saucy Salamander - on sale! In this edition of Linux Identity, we explore the limitless possibilities of a liberated operating environment. We'll take you through the installation process, whether you want to use Ubuntu full time, or you are just exploring Ubuntu and would prefer to dual boot your computer between Ubuntu and a proprietary OS. We'll show you the new features of Ubuntu 13.10, and how to use them. We'll even show you how to leverage Ubuntu 13.10 and technologies like LUKS, Truecrypt, and openPGP to encrypt every last bit of you data, bringing you privacy and data security in ways particularly significant in light of recent NSA revelations. Ubuntu is more than just an operating system, though. It's a culture, a community of users eager to help one another and learn new technologies, and it's the software that we all run to be more productive and creative. That's where Ubuntu's strength is felt most of all. The GNU/Linux world is full of various desktop offers, either heavyweight like KDE or GNOME, or lighter with LXDE, and there is no doubt that many niche markets will be more easily addressed with our operating system than with any other ones. One must also keep in mind that the desktop market, even if less active recently, is still the one driving innovation, so Ubuntu and Android are not the only solutions to consider. In order to verify which approach will be your next all-in-one operating system answering each of your needs, we offer you in this magazine the possibility to explore how the most prominent operating systems envision the desktop experience. So get your game on! Every now and again, Linux Identity decides it's time to release a “Starter Kit”, which is a gateway for the curious user to start using Linux in real life. Of course, we're only scratching the surface because there's a lot of Linux out there in the world, and what's best for some tends to shift a little depending on who you are and what you're looking to get out of your computer. But you don't know any of this until you start, and usually getting started with something new is the most painful part. This issue ought to help smooth that out for you. In this issue, you'll find articles that will help you install the distribution of your choice, and more articles to help you get started exploring what Linux has to offer you. Maybe you're just a casual desktop user and just want to know how to do every day tasks, or maybe you want to flirt a little with some desktop customization to make your day more efficient. Maybe you're an artist and want to explore Linux's more sensitive side, or perhaps you're a budding programmer who would like to get started with a nice introductory programming language like Python. The possibilities are endless, with Linux, so don't hold back. Install it and start using it, because that's how you get started. Linux has everything you need, and it installs on practically anything you want it to install on. You'll find some new features that you've never seen on any other operating system before, and you'll inevitably find some other features that you were used to on other systems that are left out, and either way, you'll adapt. Linux Identity Starter concentrates on covering the latest Ubuntu Linux 13.04 Raring Ringtail. There are a whole of updates in 13.04 since the previous release. There's an all-around polish to every detail. In addition to updates and refinements, this release heralds some significant changes in the direction of Ubuntu and, I a way, computing as a whole. In this issue of Linux Identity, you will find helpful articles that cover some of the basics tasks in Ubuntu, including installing it from scratch, adding multimedia functionality, editing videos, and even advanced tasks like setting up your very own private cloud. Traditionally, the magazine comes with two install DVDs containg each other: double-face DVD 10 with full 32 and 64-bit installer and DVD 5 (Ubuntu Family) – multiboot installation disc optimized for 64-bit processors, BIOS and UEFI compatible, containing Kubuntu, Lubuntu, Xubuntu and Ubuntu GNOME 13.04. Ubuntu is pushing its “One” services and with the recent announce of a Ubuntu dedicated phone distribution, this is for a start a promising competitor to Android. Mint listens the best to its community by offering a large choice of graphical interfaces. Mageia is trying to reconquer the old Mandrake/Mandriva users heart by providing a polished ans stable community-driver distribution. OpenSUSE is still the reference, community-based enterprise-level distribution. This issue comes with the multiboot 32-bit DVD containing all 5 distributions mentioned above in their Live version. Linux Identity Office is an exciting issue filled with articles that will help you learn Linux basics. This issue covers everything from how to install Ubuntu and get started with Linux to how to get things done using it. We have articles with a more philosophical bent that give you a sense of the advantages we see in Ubuntu over other operating systems. There are even more practical articles covering topics that are of interest and vital to any Linux user. The magazine comes with a bootable Live DVD containing full version of Ubuntu 12.10 that will make possible to try Linux operating system before installing ot on the hard drive. You will see that this is quality operating system with quality software and quality community standing behind it. We hope you enjoy learning about Ubuntu as you read and try it out. There are 7 unlogged users and 0 registered users online.